Today I thought I’d share a strategy I use to help my students communicate their thinking during the inquiry process. 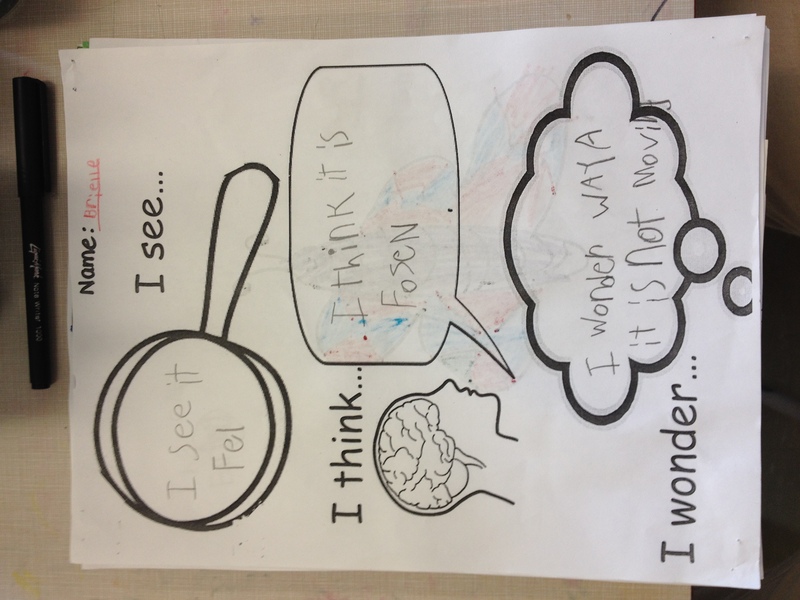 See, Think, Wonder is a thinking routine I use with my students to help them think critically about an object or idea and express their ideas with others. See, Think, Wonder is a strategy that developed out of Harvard’s Project Zero. It was originally developed with a view to help children think critically about art and artwork, though I use it across my program and have found it particularly effective during inquiry projects. If you haven’t checked out the Project Zero website, I highly recommend it! There are a number of amazing strategies and projects there which anyone working with early learners might find useful. 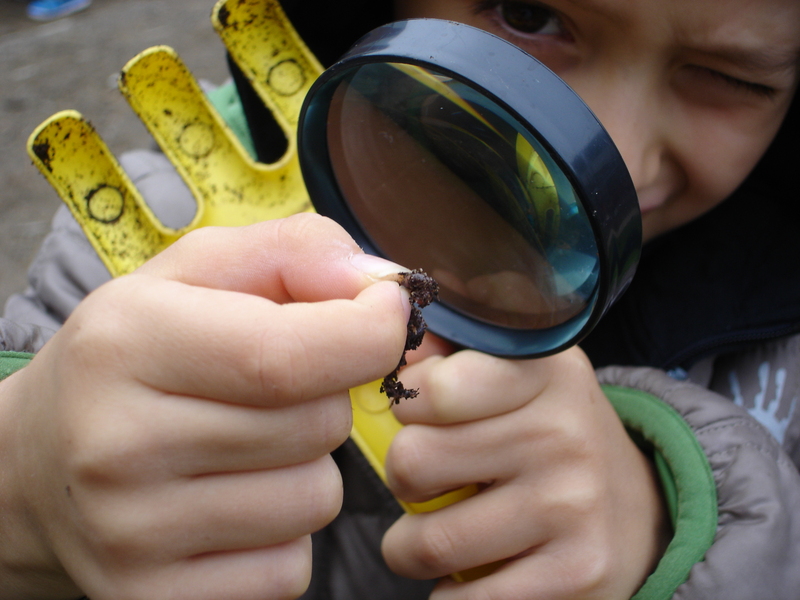 See, Think, Wonder falls under one of Project Zero’s “Thinking Routines.” Basically, the idea of a thinking routine is that you approach it the way you do any other routine you want to establish in your class, with lots of modelling, practice, and a gradual release of responsibility. As a kindergarten teacher, the idea of establishing routines is a familiar one. We have routines for entry, snack time, carpet time, etc. Why not have routines for thinking as well? To begin, I use an electronic version of the template on the SmartBoard to model my own thinking. This year, I started by using a photograph from a recent nature walk we went on as a class so that the children would have their own schema for the event that I was talking about. However, you can just as easily use a new image or object. Over the coming days and weeks, I repeat the routine but gradually involve the children’s ideas. I always record our thinking on the same template. When I feel that the children are comfortable with the template and the language, I place copies of the template at our discovery centre. Here, the children are given an opportunity to communicate their own ideas. Some children draw pictures to show their thinking, and others attempt to write their own ideas down with a combination of letters and familiar words. I see the caterpillars eating. I think the caterpillars are ready to turn into a butterfly. I wonder why they turn into a butterfly. I see it fell. I think it is frozen. I wonder why it is not moving. 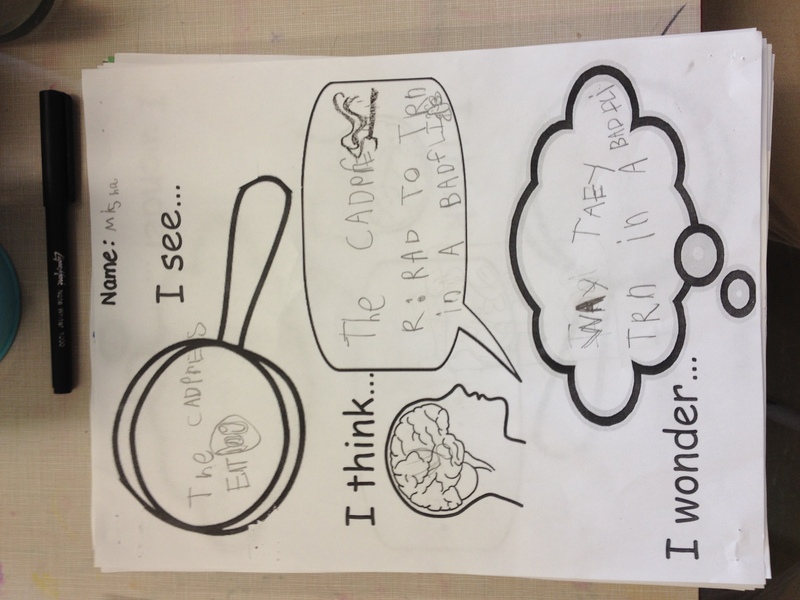 What do you think about using See, Think, Wonder as a thinking routine for your class? Are you using any other strategies for encouraging deep thinking with your students?